Who decides Nelson Mandela’s greatness? The world will officially say goodbye on 15th December 2013 to a person described as one of the greatest leaders in the world. The outpourings of tributes are many and cover the entire spectrum of the world. From being described as a ‘great soul’, the ‘anti-apartheid icon’, ‘the last great liberator of the 20th century’, ‘a gift, a legend and icon’ – Mandela is guaranteed to have a great farewell. Mandela’s “Long Walk to Freedom,” ended at the age of 95, a man living in prison for 27 years and released in 1990 and serving as the President of South Africa from 1994 to 1999 – his leadership confined to just 5 years. Yet, who decides how a person is great or not? Half of the tributes paid to Nelson Mandela make the other half look worthless. The US included Mandela and his political party as a terrorist organization in 1988 and removed the status only in 2008. Cameron’s hypocrisy which everyone is well aware of was seen in paying tribute to Mandela completely ignoring how he subscribed to Mandela as a terrorist wearing a t-shirt that read ‘Hand Nelson Mandela and All ANC Terrorists. They are Butchers’ and this was in 1980. Now Cameron is just short of tears for Mandela and called him a ‘hero’ claiming that ‘meeting him was one of the great honors of my life’! Even Margaret Thatcher referred to Mandela as a terrorist for which Cameron apologized in 2006 but no mention of his t-shirt days! If Cameron has come from ‘hang Mandela’ to ‘hero Mandela’ – it just ‘shines the light on’ the hypocrisies of not just speeches being delivered but the whole bandwagon of lies by the West. Afterall it was the CIA that arrested Mandela. So there is hope for all ‘terrorists’ to turn into ‘heros’ – just do as the West wants you to. What needs to be cleared is that the apartheid capitalist days became numbered because of 2 reasons alone – the fall of the Soviet Union and the Eastern bloc, ANC’s major backers. Therefore it served the white minority rulers to quickly galvanize a means to continue its hold of South Africa through a different strategy and thus handing power to Mandela and the ANC in exchange for its continuance became the winning recipe – that was how ANC was courted by Tony Blair and Clinton and ANC hired Greenberg-Lake the US PR company that engineered Bill Clinton’s election campaign as ‘advisors’. It is in this light we question the assassination of Chris Hani in April 1993 for in getting rid of him, the threat to Blacks developing a real hero was nullified. How better did Mandela make South Africa for the majority blacks? Mandela found himself in prison because of his stand against white-minority rule. In taking back power from white minority rule to black rule did Mandela and his political party reverse the wrongs due to the blacks? Much of the suffering the blacks went through was because their lands were taken over by white farmers and riches plundered by the same whites. What is the answer that Mandela and ANC has provided to the accusation that overall most Black South Africans are materially worse off than they were under Apartheid. Do South Africans have better employment, are they able to afford electricity, water, food and rent? Has the ANC distributed income equally and not racially? Have villages been developed from the state it was under apartheid? Has infrastructure that was denied now been provided? Do South African blacks have better access to health, welfare, transport and education – areas they were denied previously? However with only 10% blacks controlling the South African stock exchange and the crime rate mounting one has to wonder exactly what the blacks has achieved from what they were officially denied under white minority rule? It is in making the lives of the South Africans better, to undoing the historical injustices while not taking revenge is what ideally makes a man into a great man. We have to wonder whether the greatness has come in bloating the image of greatness as a means to jostle a deal that would pass over the power only to black rule while business will go on as usual for the white minority. This appears the most likely outcome of the transition of power. None of the whites lost out on what they were enjoying under white-only rule though because of the crime rates many South Africans chose to leave South Africa though those that remain continue to control what they controlled under the white government. So we again have to ask what exactly did Mandela’s Government provide in terms of relief to the indigenous blacks who were at one time slaves and vassals in their own native lands? His success is judged in whether he was able to achieve success in one 5 year Presidential term in a nation that was traumatized for decades by a social system that denied the vote, equal education, basic rights to the black indigenous majority and many questioned why he would suddenly give up the fight and retire – a gesture hailed by the white world as showing ‘moral authority’. Is it still the white world that decides who merits ‘moral authority’ and the accolades comes to those black, brown or yellow leaders who are ever willing to accommodate white rule and white authority? It is possibly because of this criteria that Zimbabwean leader remains taboo and an outcast amongst the whites for his moral authority is denounced no sooner Mugabe decided to take back all white owned lands and declared his country was taboo to the color white and homosexuals. So we need to question the varying differences in the moral authority attributed to Mandela and Mugabe in their actions vis a vis the white oppressors. While Mugabe said ‘no whites’ Mandela and the African National Congress took a line that was eager to accommodate the whites and continue to allow them to dominate the economy making many to wonder what black South Africans actually gained from the political shift in power apart from having the country led officially by people in black color but people following white systems and rule. The oft given reason for this shift in thinking was the choice between knowing what would happen to South Africa had it taken the stand of Zimbabwe and the manner the West clamps down upon the nation or to take a more Western-appeasing stand which was what Mandela and the ANC found themselves doing. So naturally, if a nation tows the line of the West it naturally ends up one of its darlings – but the question is the West may make darlings out of the politicians but they care little about the people and that is the crisis in South Africa. So we have the West heap bouquets upon leaders who do as the West bids them so long as they compromise their nation and their people. How great are these men then in the eyes of the ordinary people who are the wheels of a country’s existence because it is through them that politicians and the commercial sectors make their money. When six media giants control what we read, watch or listen it means they control our thoughts, our deeds and our actions. It is in their hands that people are made to look like darlings or dictators unless we open our eyes, ears and mouths juggle around the data and use wisdom do derive our own conclusions. These 6 media giants control 90% of what we read, watch and listen to. To those not witness to any of the crimes it is on the versions that these media houses provide that create their version of the guilty party in our minds. This is where all the problems lie. It is in their hands to decide who are whitewashed into history books. It is they who decide who gets into history’s legacy and you will not find many who will question the entry of Winston Churchill who killed millions against the denunciation of Gaddafi who is alleged to have killed without proof. So people like Castro, Hugo Chavez will remain denounced in our eyes while even those that order drone strikes, nations that invade and plunder nations continue to become our heroes. In reality it was the questionable choice in not taking the stand Mugabe took for Zimbabwe against total white monopoly to appeasement to maintain white rule without political power that received the nod of approval from the West for the status of whites did not change and one wonders whether the status of the South Africans have changed much either. Mandela did all what the West would have wished him to do – the Truth and Reconciliation ensured none of the White oppressors received due justice for the crimes of apartheid. To the West even criticisms are fine so long as their systems remain in place so when Mandela said “If there is a country that has committed unspeakable atrocities in the world, it is the United States of America.” – America did not mind for nothing radically changed in how they ran their business. Does the world regard heroes like Patrice Lumumba of Congo or Aung San of Mynamar who challenged the world with their energetic nationalism proven by the manner they were assassinated or are leaders judged because they do not rock the boat? Lumumba was the face of anti-colonial struggle and he paved the way for everyone else. There are many who would also rate Malcolm X and Steven Biko for providing blueprints for how to solve the problems of the black race but some argue that they didn’t achieve much when alive as do others who also argue that neither did Jesus Christ which is why many feel Mandela was the greatest South African but not African. Mandela was great because he epitomized ‘freedom’ – question is for whom? Mandela received over 250 awards, keys to cities and honorary degrees as well as the coveted Nobel Peace Prize. 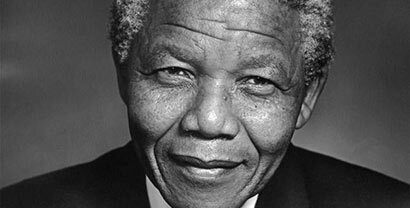 July 18th his birthday has been named ‘Mandela Day’. 1 Response to Who decides Nelson Mandela’s greatness?